Some days you need a doctor. Some days you need lawyer. Every day you need a farmer. You can find me at the Eureka Spring Farmers' Market (Pine Mountain Village on 62) on Thursday Mornings (9am to noon). Come on out and get some good local food ... it is fun. For 30 years we have never used any antibiotics, steroids, or hormones. No pesticides, no herbicides and no genetically modified organisms (GMO's) . 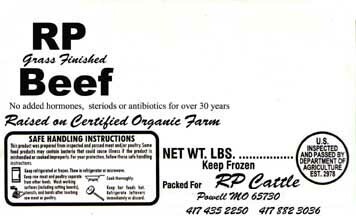 These cattle are grass fed and finished as nature intends. They are never fed any animal byproducts. We believe in healthy animals and healthy people. 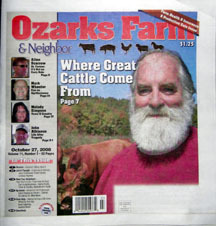 Serving the Missouri, Oklahoma, Arkansas and Kansas "Four State Area". Inquire about availability and deliveries. These cattle are well adapted for prospering on good and varied grasses. 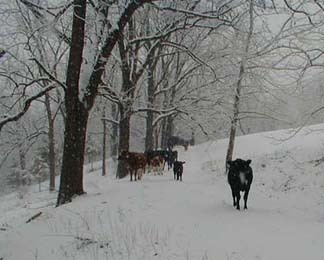 Inquire about buying heifers or cows for your own herd. Emeril on Grass Fed beef. Why and how to cook it. There is a lot of information about why grass fed beef is healthier than grain fed animals but it only takes an understanding that cattle are ruminates and evolved to live on grasses and forages. 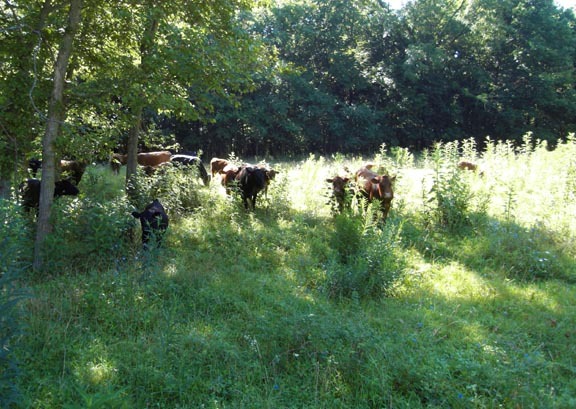 These cattle eat a variety of Missouri forages including fescue, lespedesias, vetches, clovers, cheat grass as well as several plants often referred to as weeds. (we never use herbicides or pesticides) Winter forage includes hay made from these same forages. These cattle are born and raised here and are never fed any feed from any animal sources. 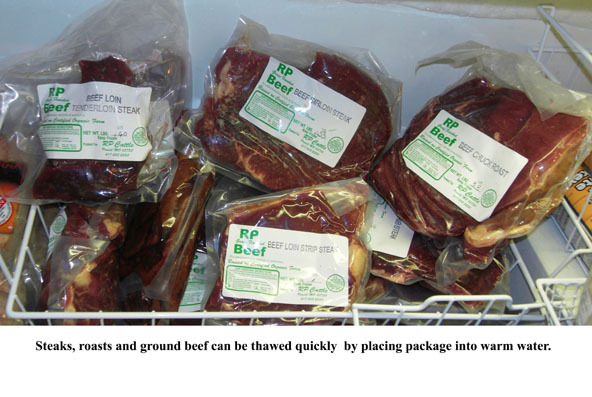 Inquire here for prices, availability and deliveries. well. I would like to say that I am "saddened"
their world, at least a little. 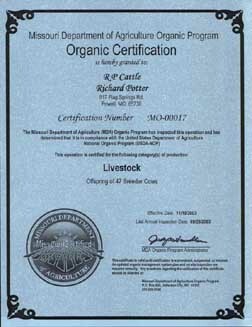 The cattle and the farm were certified organic in 2003. The state of Missouri quit the certification program after that. I did not change my practices for the certification or after the certification.